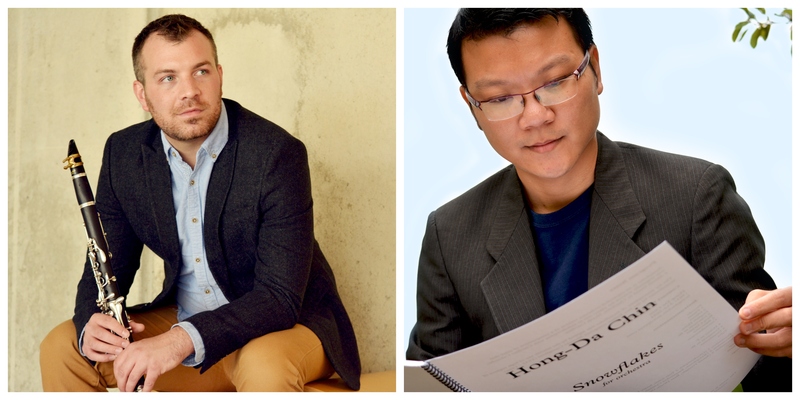 Back for an encore performance, No Exit’s clarinetist Gunnar Owen Hirthe will be joined by flutist/composer Hong-Da Chin for a very special evening of music at Heights Arts. These two extraordinary musicians will be performing as soloists and as a duo to present a program of transcendent avant-garde sounds (see program below). In addition to being a virtuosic Western flutist, Hong-Da is also a renowned and sought-after Chinese flute player and he will be performing music which incorporates these traditional Chinese instruments. Do not miss this spectacular one night only event! Free and open to the public.